My interest in the German Occupation led me into publishing for a living and I have published many books over the years about this subject. I have selected just a few of my favourites below to give you an idea should you like more information. 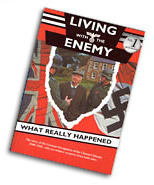 Living With The Enemy tells the amazing true story of life in the British Channel Islands during 1940 to 1945 under Nazi rule. With eye-witness accounts by the people who lived through that traumatic time it draws on first hand experiences and includes a superb collection of over 125 original war time photographs. 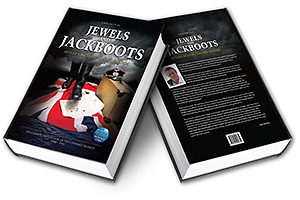 This book will give you an accurate insight into this ill-assorted community at war and portrays how it felt to be living in the shadow of a foreign power: a sample of what the United Kingdom would have experienced should it have fallen. The Channel Islands were the only British soil to be occupied in the war, the Islanders the only British citizens to fall under German rule. How the Islanders reacted to the invaders has recently been the subject of heated argument and impassioned debate. In this fascinating book, television personality and history graduate John Nettles fulfills a personal ambition to find and tell the truth about those extraordinary and controversial years. Thousands of young men of military age joined the British armed forces before the Germans arrived and occupied the Islands. 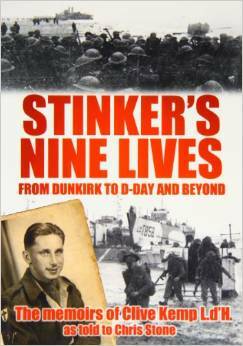 Clive Kemp tells his remarkable story in his book, Stinker’s Nine Lives. © Original German Helmets .